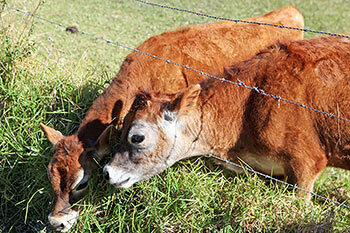 These Jersey calves will produce manure to be added to horse manure and grass cuttings as the main ingredients. 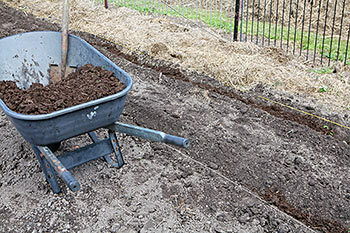 Lime, wood ash and rock phosphate are also added as well as a little soil. 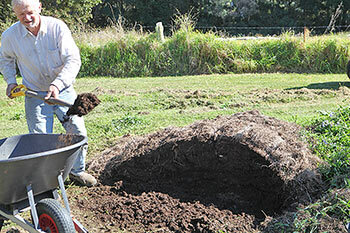 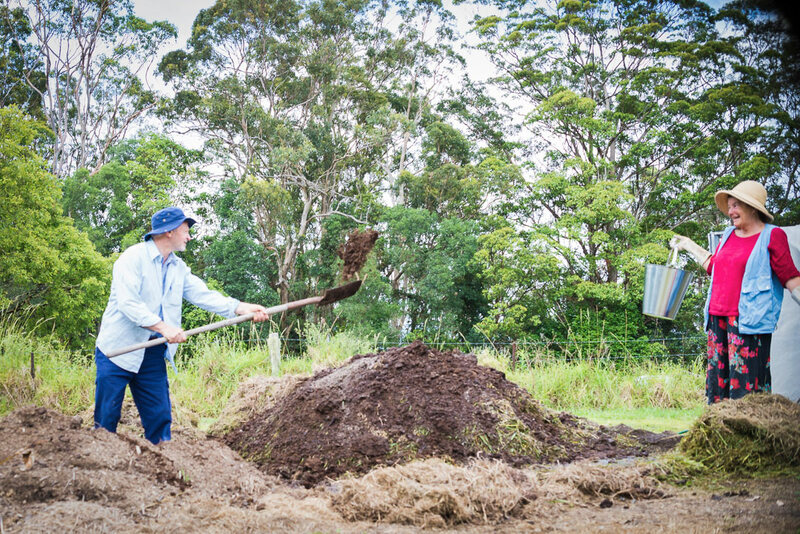 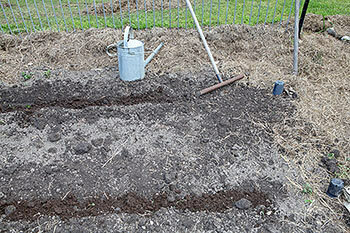 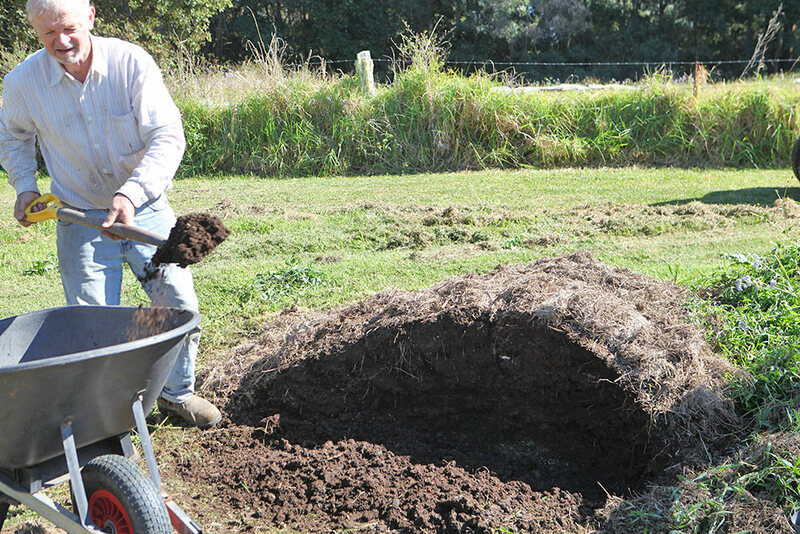 Sieved compost is added to small trenches and rows when seed is planted.